Total Video Player for Mac is a powerful full-featured Mac Media Player, supporting 1080p, 3gp, Mp4, H264, Mov, FLV, MKV and all other popular video files together with any audio formats (Mp3, Wma, Ogg, Mpeg-1,Mpeg-2, etc.) as well as DVDs and CD Audios. It is a wonderful flash player for mac with VLC engine which support to change player skin when you play your videos! This flash player for mac is easy to use and really nice, you can use it to play flv smoothly! 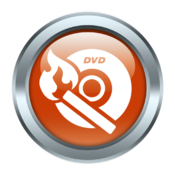 Total Video Converter Mac is a piece of full-featured Mac video converter and DVD burner that supports almost all video and audio formats. Total Video Converter Mac is the best software to convert videos for Apple TV, iPad, iPhone, iPod, Xbox360, PlayStation 3, PSP, mobile phone: Blackberry, Nokia, Samsung and many others! iAudioConverter is a comprehensive and powerful audio converter for you to free share all video and audio files to iTunes, iPhone, iPod and any kind of your devices just with drag&drop and mouse clicks. Extract audios from videos such as downloaded from Youtube. Convert between all popular audio files preserving metadata and album art intact using high quality encoder. Camcorder Video Converter provides a professional solution for converting videos from various digital AVCHD/MOD/TOD/XDCAM Camcorders and DVs, so as to freely edit with iMovie and share with iTunes, iPad, iPhone, and many other devices. Automatically check the AVCHD/MOD/TOD USB device and import the MTS, M2TS, MXF, AVI, MP4 video. Automatically import converted video to iTunes. 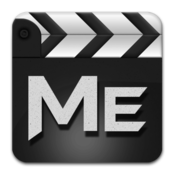 Convert MTS, M2TS, MOD, TOD, MXF to avi, mp4, mov for editing with iMovie, Final Cut Pro. 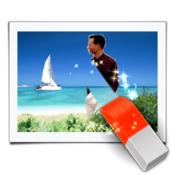 Convert MTS, M2TS, MOD, TOD, MXF to avi, mp4, mov for sharing with iPad, iPhone, PSP, PS3, Apple TV. Smart DVD Creator for Mac not only burns popular video formats into DVD discs that will playback in any DVD player or computer's DVD drive, but also creates ISO files, which are suitable for virtual drive user. It's easy. Smart DVD Creator works out what to do even if you haven't any idea about DVD burning. 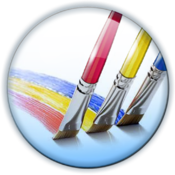 My PaintBrush is a funky and amusing multilayer paint and drawing application. Use inspiring tools and brushes to create and save smooth images to your Mac. Eaay-to-use interface will help create personized artwork with unlocking your creativity. 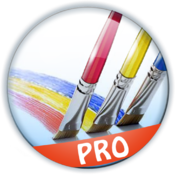 My PaintBrush Pro is the upgrade version of My PaintBrush . It is a professional paint-and-drawing application with multi-layers. Use the inspiring tools and more than 100 types brushes to create and save smooth images to your Mac! . 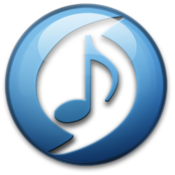 Audio Tunes is a powerful audio converter, which converts common audios ( MP3，wav，flac，ape，wma，amr，ac3，au ,etc ) to iTunes simply by 3 clicks. You can play those audios on your Mac or download them to the iOS devices. Intelligent Scissors is an easy-to-use image editor to remove unwanted objects from your photo, such as people, text, building or anything else and shrink or enlarge photo without changing important visual content. Easily start. You only need mark unwanted area by red color or protect important elements by green color. Intelligent Scissors does the rest for you . Movie Effects is a professional video tool to turn any video of you into a work of art with various video effects such as rotate, flip, contrast, brightness, smooth, etc. Additionally, more then one effects can be applied to a video at a time. 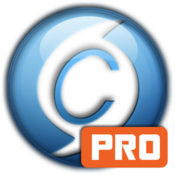 Support almost all popular video formats such as mp4, mov, avi, flv, etc. Freely apply more than one effects to a video. Batch Photo Editor is an easy-to-use image bulk processing app, helps you to add images and text watermarks to all your photos at a time. 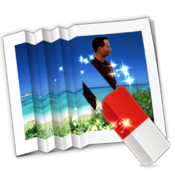 With Batch Photo Editor, you can resize, rotate, adjust color and add multi special effects to thousands of photos in just one click. Remove watermarks, date stamps, and so on. Do your audio files have different volume levels? Are you tired of constantly adjusting your music's volume? It's really annoying, right? You need Audio Normalizer which is used to control audio volume. Audio Normalizer ensures that all your songs could be controlled and adjusted to the same volume level. Most popular audio file formats like mp3, aac, wav, flac, wma, m4a, ac3, au and ogg are supported. 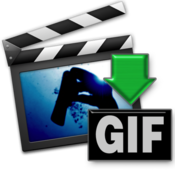 Total-Video2Gif is the best choice to convert movie clip to animated gif by freely setting start/end time, speed and size of clip. 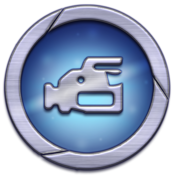 WMV, MKV, AVI, DivX, XviD, MPEG, MP4, QT, RM, RMVB, M2T, FLV, MPEG, MPEG2 TS, ASF, 3GP, 3G2, GIF, H.264/MPEG-4 AVC, H.264/PSP AVC Video, MOV, FLV,iPod, PSP, Zune, Apple TV, iPhone, Nokia, Sony, BlackBerry, etc.